Product provided for review. All opinions are my own. 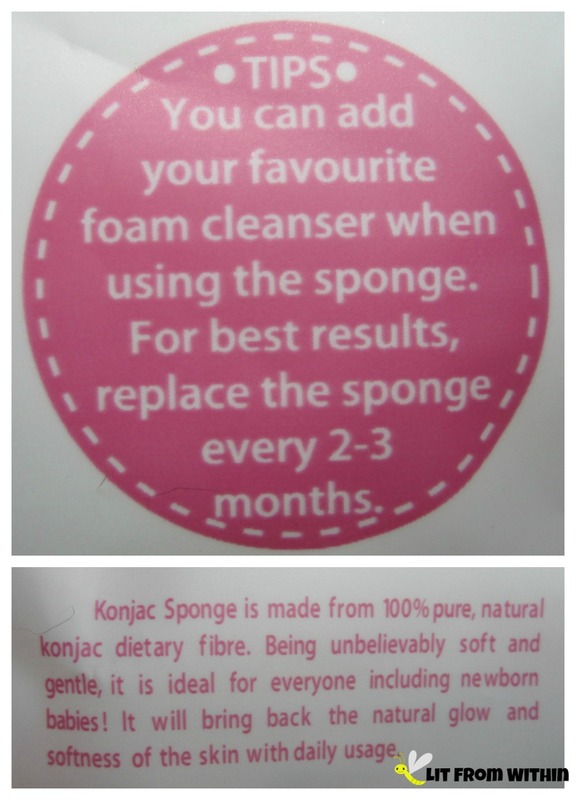 I've been reviewing a lot of different konjac sponges lately, and this one is the last I have in the queue. I've shown you round white ones, and round green ones, round black ones, pointed red ones, and today's is a pointed black one from Wonderpiel. 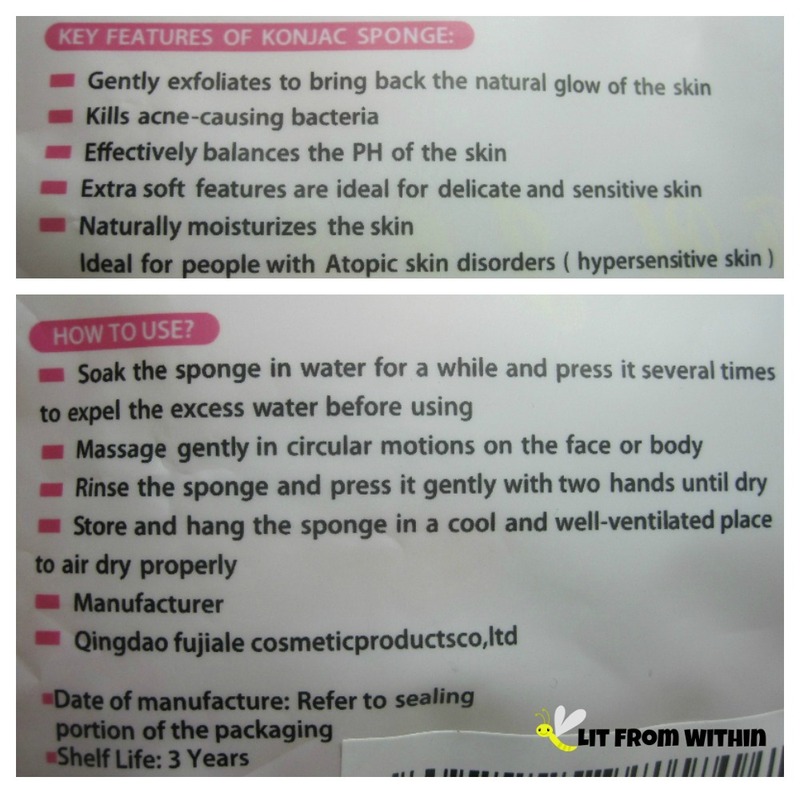 Like other konjac sponges, this one is made from the fibers of the konjac root, a fibrous plant grown in high elevations of Asia that is natually pH balanced for our skin. 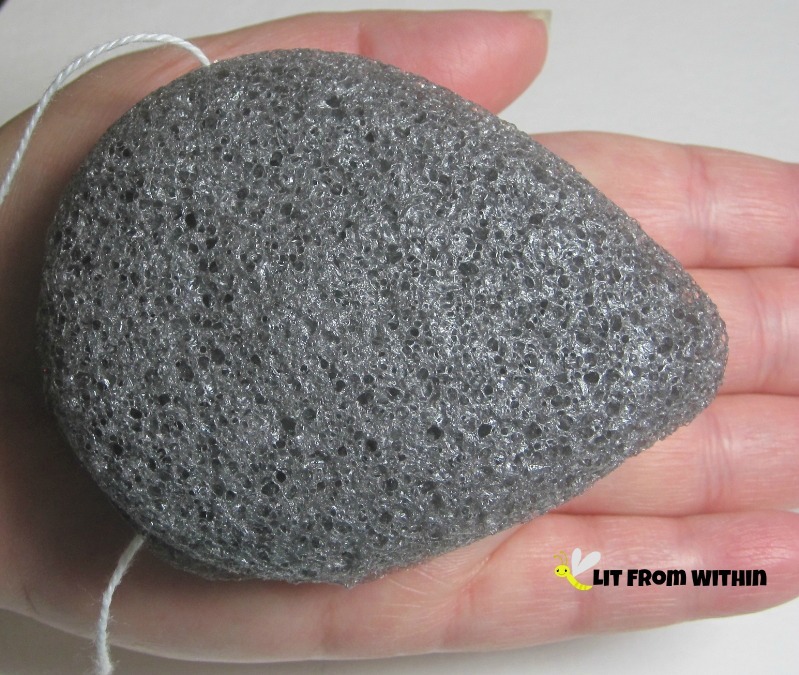 When dry, the sponge is very hard and scratchy - more like a pumice than a sponge! Soaked in water for a minute, however, and it becomes a soft, squishy sponge that will feel amazing on your skin. Use it with or without cleanser, in gentle, circular motions on your face or body. When you're ready for a new one, or in 2-3 months, you can compost this all-natural sponge. Your flowers will probably love it as much as you did. 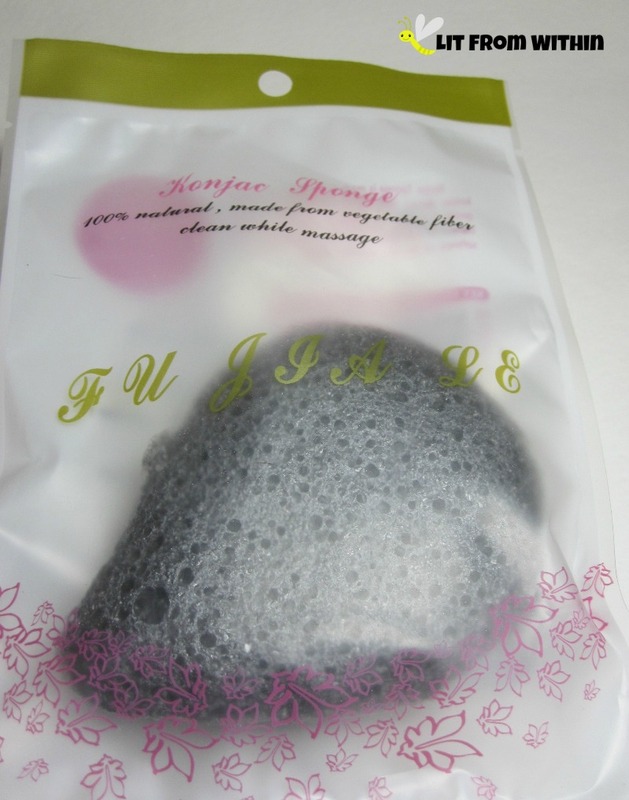 Konjac sponges can be used with or without cleanser, and because of their texture and the infusion of absorbent activated charcoal, they'll still clean your skin and help rid it of blackheads. I'd only really used them with cleansers before, but the other day I left my clay masque on a little too long and my face felt super-tight. When I was ready for my night-time routine, I still didn't want to use a cleanser, so I used this sponge by itself, and it didn't irritate my skin, and it still felt clean and soft. I have noticed that the teardrop-shaped konjacs that I've tested have been much softer and squishier than the round ones. I don't know if it's true for all konjacs, but it was true for the two I've tried. The teardrop shape seems to make it easier to get into the nooks and crannies of my face, like my nose creases, and under my eyes. This one seems like it would be perfect for those who have oily skin that is very sensitive. It's amazingly gentle. And big! When it's wet, it's bigger than my palm. 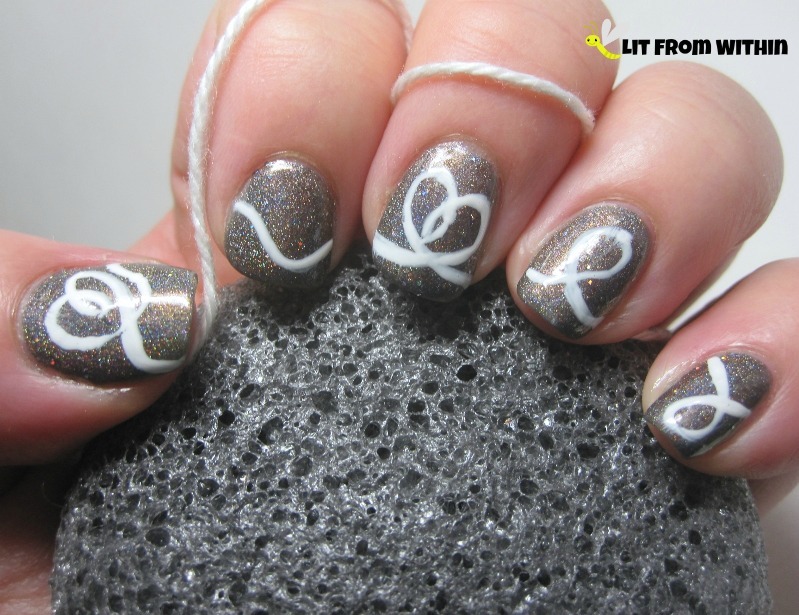 For my homage to this wonder-sponge from Wonderpiel, I used NailNation3000 Fireflies, a polish I love not only for it's subtle multi-colored sparkles, but also for its name! 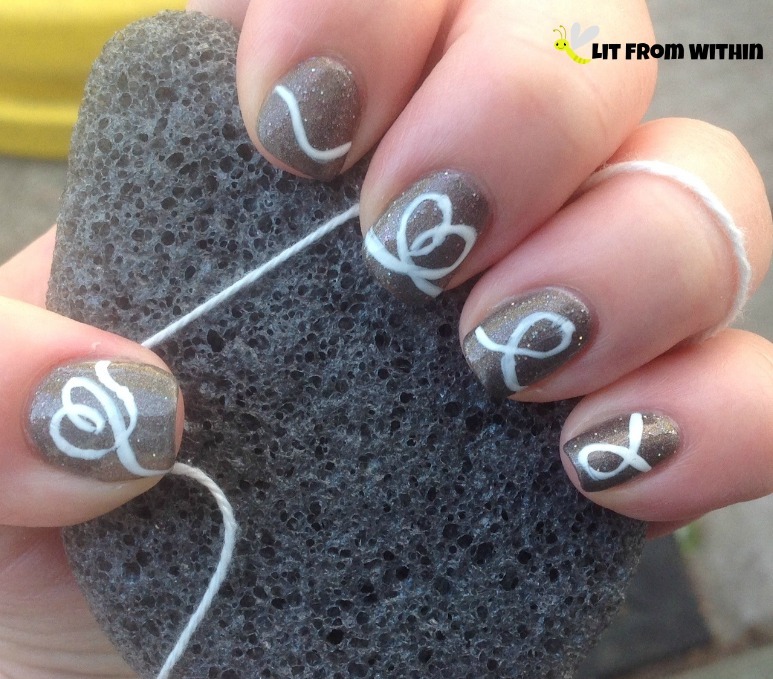 Somehow, I got the string to follow the heartstring on my thumb! If you're looking for a soft, reusable, eco-friendly way to cleanse, you might be interested in a Konjac sponge from Wonderpiel. They have a 100% satisfaction guarantee, too, so there's no risk! 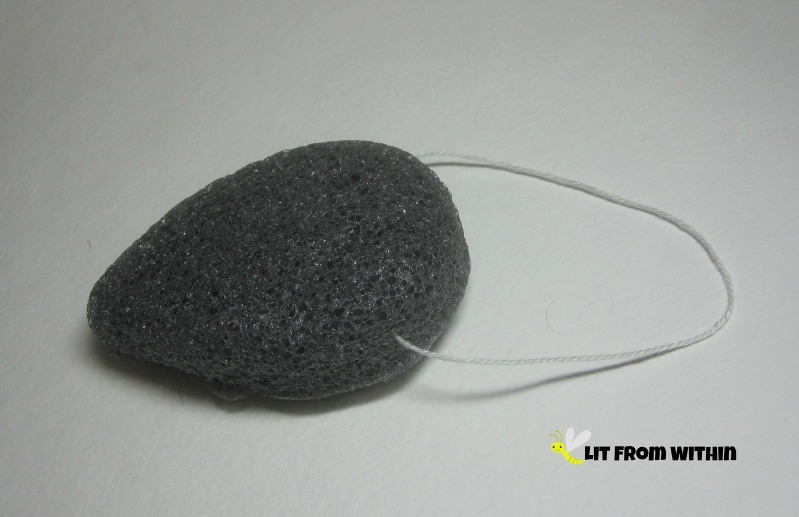 For more information, or to purchase, please check out Wonderpiel Skincare on their website, Facebook, or on Amazon, where this konjac sponge currently retails for $10. 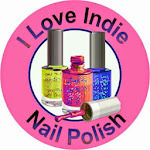 My Alter Ego Sneaks A Stamp..
Dottin' Love Is In The Air! Got Leather lips? Try some LATHER Lips love!